How does the Standard Model of particle physics work at the LHC energies? The LHC(the Large Hadron Collider) is in a tunnel 27km long and approximately 100m underground in CERN, accepted the heart of the experimental and particle physics because of its breakthrough experiments(ATLAS and CMS). The LHC is the key to test theoretical physics, in particular, the Standard Model which gives physicians the recipe of the fabric of the Universe. But, how the LHC detects particles in its energy level? Before proceeding the particle detection process of the LHC, the main subject of the LHC, which is the Standard Model of particle physics, has to be explained for the following part. The Standard Model is the complete inventory of the elementary particles which explains how the fundamental forces(theoretically including gravity) work via particle interactions. This understanding of the structure of the matter, the electroweak and strong forces operating between them is known as the basis of the Standard Model(1). In terms of the Standard Model, all force-carrying particles- gluons, the W and the Z, photons – are bosons(including graviton, if there is one). The reason is as follows. There are two generic classes of particles due to their spin(as an analogy). Bosons have integer spin and fermions have a half unit of spin. It causes a huge difference in their behaviour. Bosons, more than one, can occupy the same quantum level, hence the superconductivity. Furthermore, swapping two identical bosons of the same energy makes no physical difference to the overall state. Conversely, fermions obey Fermi–Dirac statistics and the Pauli exclusion principle. This means any state containing two identical fermions of the same energy has zero probability of occurring(2). According to the aforementioned definition of particles, bosons are force-carrying particles and fermions are the matter itself. Gluons carry the strong force among quarks. And, they have eight types of color states(arbitrary combination of red, blue and green), presenting in various ways, which are known as the color octet. W+, W- and Z0 are the particles which carry the weak force occurring between sub-atomic particles, such as electron and proton. The electromagnetic force occurring between electronically charged particles is carried by photons. These four force-carrying particles are also known as the gauge bosons of the Standard Model. And, if there is one, the graviton is the elementary particle for the gravitational force, predicted by the Standard Model. Inside the LHC, when two hadrons collide at the theoretically proper energy level, the spray of particles pervades the specialized detectors and scintillation counters, which detects the particles strike its surface by the wavelength of the light produced by particles(the shorter the wavelength, the greater the amount of energy associated with the light(3)). Nevertheless, observing the intermediary particles(force-carriers) from the enormous amount of the data produced by the collider is not as simple as you might think. It is, therefore, a prediction, calculation and simulation process, over and over again, in that order. The reason is as follows. Energies at which the particles predicted by the Standard Model can be observed is mostly calculated through a simulation. This process includes a few steps. Inside the LHC, when two quarks inside protons bounce off each other, the outcome is nothing but a spray of hadrons due to asymptotic freedom. It means that when two quarks are inside the proton, you can treat them as though they are free, as though they are not bound together at all(4). In that regard, the fundamental particles(the gluons and so on) is therefore extrapolated from the direction of the jets. But, it is just the first step of the simulation. In many of the strong collisions(proton-proton scattering), the protons hardy get broken up, and mostly they do not register in ATLAS. These are called diffractive collisions. So that, most of the time, the possibility of a diffractive collision has to be added to the outcome compared to minimum bias events(5). After the collision, the enormous amount of data generated by ATLAS and CMS is scrutinized by computers for the remnants of the fundamental particles, which is the electromagnetic radiation(photons – light). The amount of light given off has a correspondence with the energy the particle had in first place and working out the correspondence is called calibration(6). After the simulation, a hint of a signal(or a bump) has to reach the conventional 5 sigma threshold for declaring a discovery. And, it is the real story behind the advent of the process yielding the hints of the Higgs boson. ”On 4 July 2012, the ATLAS and CMS experiments at CERN's Large Hadron Collider announced they had each observed a new particle in the mass region around 126 GeV(7).” Higgs field gives the W and Z bosons mass and solves the glitch in the Standard Model. “…All of these particles emerge without a mass. While this is true for the photon, we know that the W and Z have mass, nearly 100 times that of a proton. Fortunately, theorists Robert Brout, François Englert and Peter Higgs made a proposal that was to solve this problem(8).” The solution is the so-called BEH field. But, I digress. (1) Stannard, Russell. "High Energy Physics." The End Of Discovery. Oxford: Oxford University Press, 2010. 146. Print. (2) Butterworth, Jon. "Glossary: Bosons and Fermions. "Smashing Physics: Inside the world’s biggest experiment. London: Headline Publishing Group, 2015. 40. Print. (3) Hoddeson, Lillian. "Quantum Theory." The New Book Of Popular Science Vol-3. Grolier Incorporated, 1988. 321. Print. (4) Butterworth, Jon. "Glossary: Quarks, Gluons and Jets. "Smashing Physics: Inside the world’s biggest experiment. London: Headline Publishing Group, 2015. 30-31. Print. (5) Butterworth, Jon. "Minumum Bias. 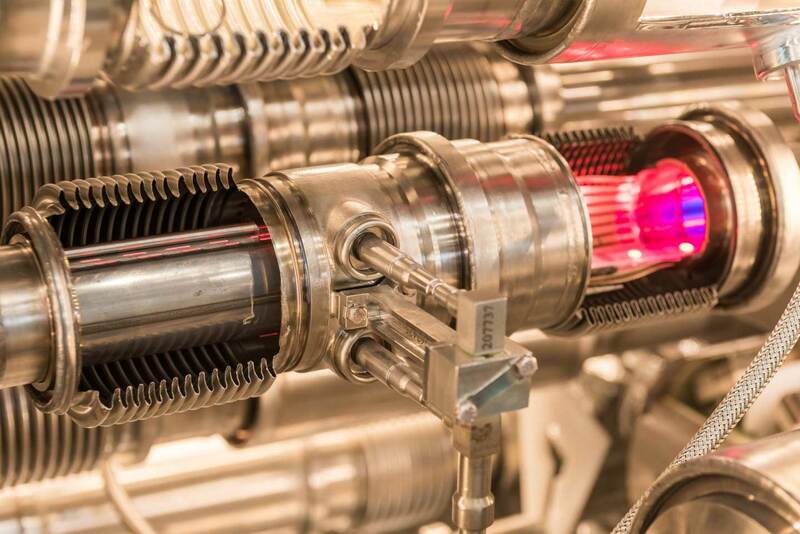 "Smashing Physics: Inside the world’s biggest experiment. London: Headline Publishing Group, 2015. 51-52. Print. (6) Butterworth, Jon. "From Liquid Argon to M-Theory. "Smashing Physics: Inside the world’s biggest experiment. London: Headline Publishing Group, 2015. 68-69. Print. (9) Butterworth, Jon. "Counting Sigmas. "Smashing Physics: Inside the world’s biggest experiment. London: Headline Publishing Group, 2015. 221. Print.